The National Drug Law Enforcement Agency (NDLEA) has confirmed the arrest of 44-year old Chibude Chide at the Murtala Mohammed Airport Lagos. According to NDLEA spokesman Mitchell Ofoyeju, Chide had told anti-drug agents that he invested the sum of two million naira into drug trafficking because he wanted to earn four million naira profit in return. The NDLEA commander at the Lagos airport, Mr. Hamza Umar said the suspect ingested 1.185kg substances that tested positive for cocaine. “we discovered from our investigation that the suspect sold his property in Enugu and invested the proceeds in drug trafficking due to wrong counsel from friends. He was apprehended during outward screening of passengers on Qatar flight. The cocaine found on him weighed 1.185kg,”Mr. Umar said. 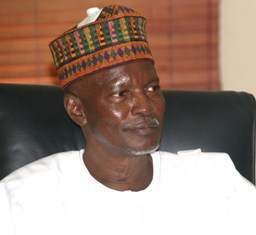 Chairman/Chief Executive of the NDLEA, Ahmadu Giade who described drug trafficking as criminal warned that those who seek wealth from criminality shall end up in prison custody. “NDLEA is combating drug trafficking with every resource at its disposal. Drug trafficking is criminal and the gains of a drug-free society is priceless. The lesson to be learnt from this case is that those who seek quick wealth from drug trafficking will end up in prison custody,” Giade said. naira into drug trafficking which would have led to his untimely death if he was caught in China which was his destination. cocaine business. They assured me that I could earn twice the amount I invested in the deal but I am regretting my action,” the suspect state, according to the NDLEA. He hails from Enugu State. When probed on if he was aware that drug trafficking attracts capital punishment in China, the suspect said that he never thought about it. “I never thought of it. My entire attention was on the four million profits I would have made from my trip. I am so worried now about my wife and daughter” he stated as he struggled to hold back tears. The suspect will be charged to court soon, NDLEA said.